12 time NRA National Pistol Champion Brian Zins will be conducting a clinic and workshop program specifically designed for NRA Precision Pistol Competitors at Point Blank Range in Matthews, NC. Students will learn the proven mastery of fundamentals as executed by undoubtedly the best Bullseye style competitor in the history of the NRA National Pistol Matches at Camp Perry, Ohio. 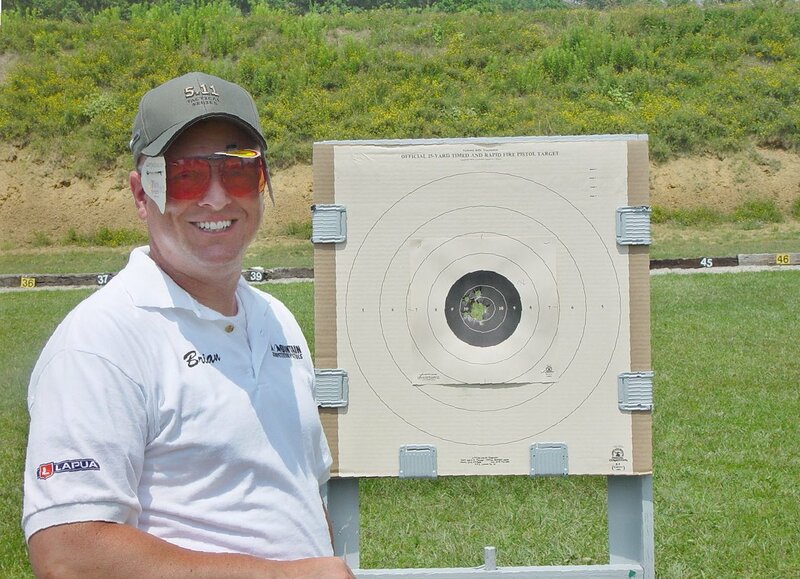 Bullseye Pistol Clinic: Along with a one day seminar in the classroom students will receive a version of the very same workbook that Brian and other successful Marine Corps Pistol Team members started their competitive shooting careers with. Following the one day lecture based seminar Brian will conduct a live fire coaching session the following day from 8-5pm. The cost for the Seminar, live fire training and workbook will be $300. For students that are currently or become Annual or Patriot Gun Club members the workshops will be free of charge. For those who are not Annual members there will be a small range usage fee every Monday evening that the workshops are conducted. Registration and prepayment is required. If you prefer to register in person, please visit the store and see a sales associate. View our Refund & Cancellation Policy here. Select a date below to register now! Check back soon for upcoming class dates.